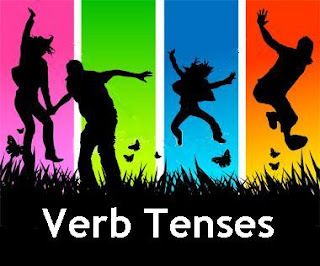 Simple Present tense in English material become one of the easiest tenses to learn. In fact from the kindergarten and elementary schools there is also study about this tense. According to that fact it mean that learning English Grammar is really important to do from beginning. So in this simple present article we will learn about this tense by using easy method. Simple Present tense article at here is free to read and also i give lot of exercises in the section below or in exercise page jagoenglish. so let's get to the simple tense. Simple present tense is a common tense that we always use in daily activities because some reasons likes facts, habitual activities, and common things. Let's try the easy way, can you tell me about what are the direction of sunrise and direction the sunset? If you answer with east and west, it mean that you are using common FACT. The sun is rising from east and sunset in the west. Simple present tense also can be used in habitual activities. The easiest way to make habitual expression is why you don't make your daily activities from wake up until go to bed again. If you do that, it's mean you are using simple present tense in habitual activities. My father always reads the newspaper in the living room. Simple present tense divided into two kind of sentences: Nominal sentences and also verbal sentences. let's check it one by one to make it clear. Simple present tense nominal is pretty easy right, now continue to the negative and interrogative sentences below. Is She a clever girl? Is Mrs EVE a funny teacher? Simple present tense article above just in Nominal form only. If you are looking for the verbal sentence you might take a look at Simple present tense verbal here. Thanks for reading this article, feel free to comment. nice post, waiting to next post..